Do you suffer from thinning hair? 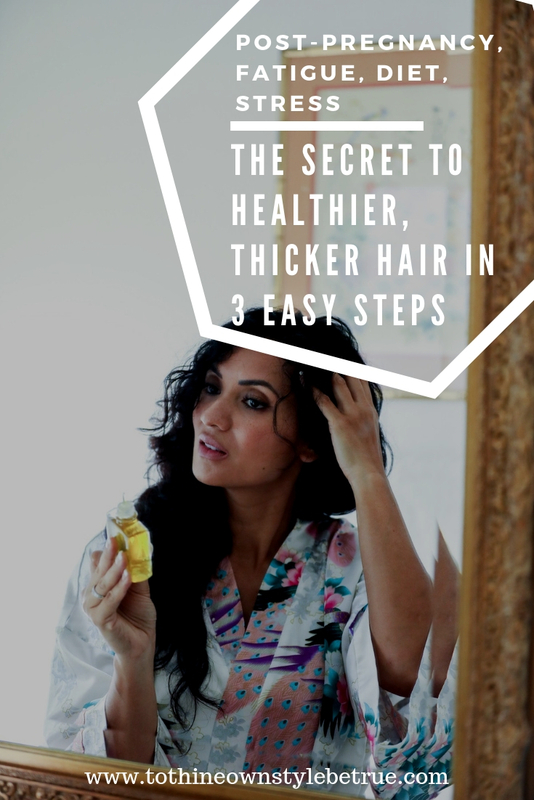 Keep reading to see my top 3 tips for healthier thicker hair. 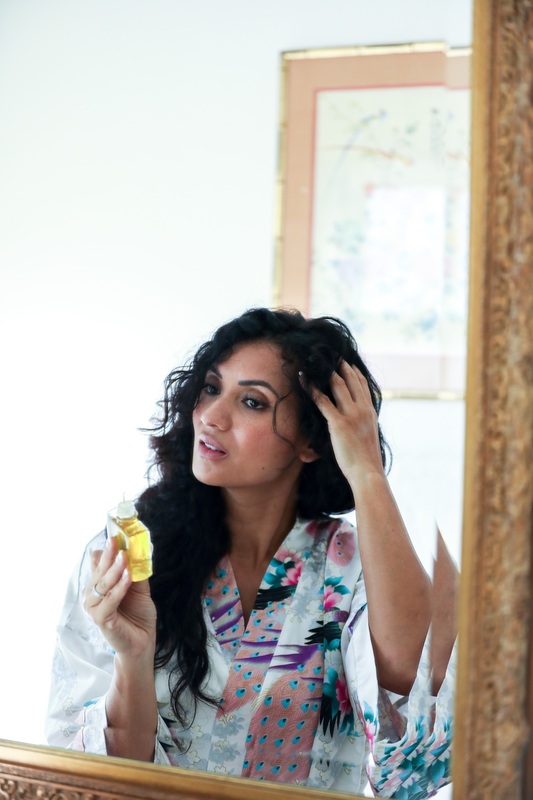 My outfit details: Peacock Kimono Robe, c/o Rene Furterer Complete Reactional Thinning Hair Regimen: Complex 5 Stimulating Plant Extract, New! Triphasic Strengthening Shampoo, RF 80 ATP Energie Concentrated Serum, and Vitafan Dietary Supplement. Thinning hair can be a concern for both women and men alike, especially with aging, but it doesn’t have to be! Today, I’ll be discussing an amazing line of products to keep your hair healthy, thick, and happy. Allow me to introduce you to Rene Furterer’s Complete Reactional Thinning Hair Regimen, a drug-free solution to healthier, thicker hair. A perfect solution for sudden, temporary, thinning hair due to stress, fatigue, diet, and post pregnancy! Let me start off by saying I’m not a doctor or medical professional. But honestly? The science and technology behind these products are legit. 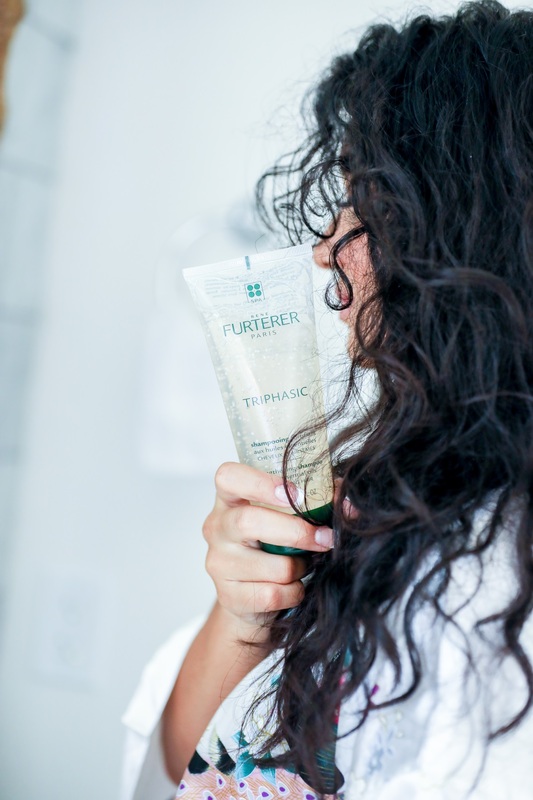 Renee Furterer’s website delves into different regimes, routines, and ways to use their products that can benefit you. That’s why I trust them; they don’t promise immediate, unrealistic results, and they even have visuals on their website of how amazing their products have been for customers. Take a look! 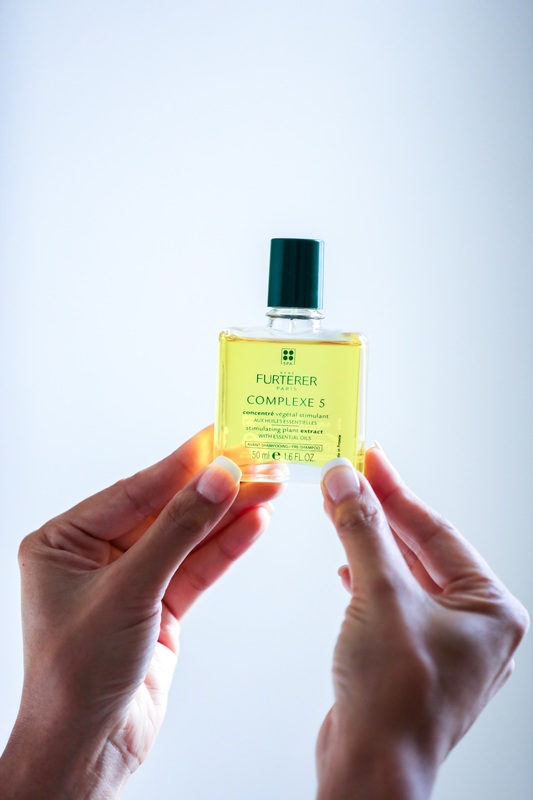 Step 1: Complexe 5 Stimulating Plant Extract: This is a vital first step for scalp and hair health to provide beautiful hair from roots to ends. It features Lavender and Orange essential oils for equal health benefits and a delicious aroma! Step 2: NEW! 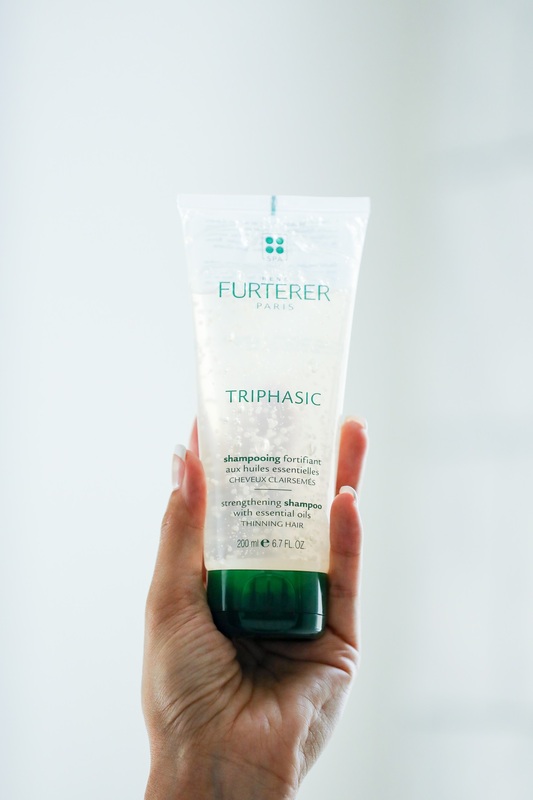 Triphasic Strengthening Shampoo: The science behind this shampoo is that it is formulated to help strengthen and stimulate hair growth and health. It helps to produce visibly healthier, darker hair through providing energy to the hair follicles, as well as essential oils in Lavender, Orange, and Rosemary. Step 3: RF 80 ATP Energie Concentrated Serum: This incredible ATP Serum contains Pfaffia extract, as well as Sage and Lemon essential oils, plus added ATP Energie that assists in providing a healthy scalp and hair. This product helps to repair hair for a strong, healthy appearance! 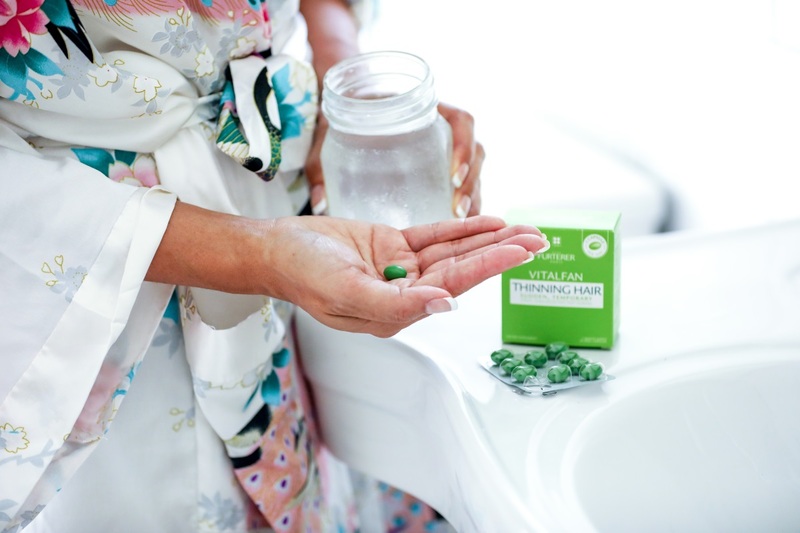 And a bonus…Vitalfan Dietary Supplement is a plant-based dietary supplement that addresses sudden thinning AND energizes your scalp with Black Currant. 88% of consumers felt their hair was thicker, and 81% felt a reduction in hair loss. This product is incredible because of its blend of Biotin, vitamins, and essential fatty acids while help keratin production, which is vital for hair support. Complete Reactional Thinning Hair Regimen: This is a great bundle to try if you’d like to try all of the above-mentioned items. This product uses botanical extracts, essential oils, and vitamins to help promote healthy, strong hair, and nourish the scalp, and has all the added benefits of what was mentioned above. 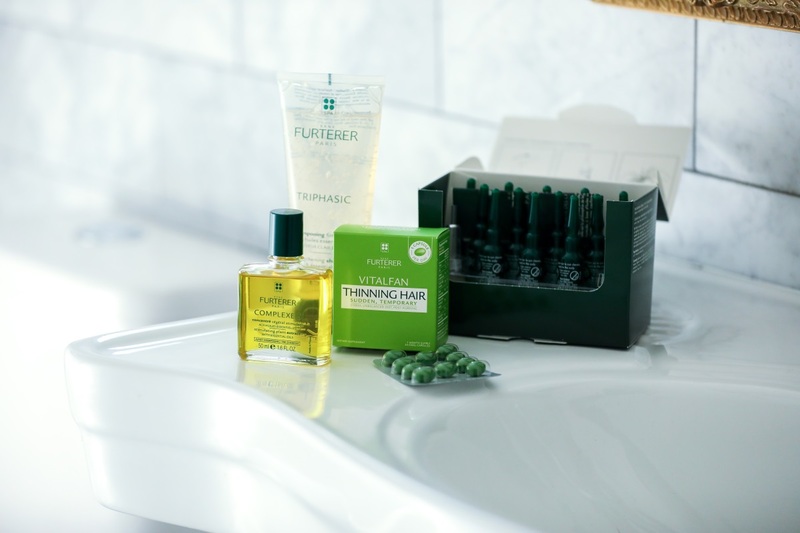 Have you ever tried one of Renee Furterer’s products? If so, what did you think? Let me know in the comments below! Thanks for reading! Stay fabulous. I am blessed not to be dealing with hair loss – but these products look like ones where if I ever get to that point…..but i was also liking what you were wearing…. This sounds like a great solution! My brother in law has thinning hair and has tried many products without success. Mine was thinning until I got started on my thyroid meds and that’s helped balance everything out again for me. Oh, I would have loved this during the whole postpartum period. It really made me thankful for my otherwise thick hair! I’m with you on company claims – I appreciate honest, real results from customers over fake promises any day! My hair is certainly thinner after having kids. I’d love to regain some thickness. This looks great! I hadn’t heard of this brand, but all the products sound great. I’ll keep them in mind if my hair starts to thin. I love that this will really help people who are dealing with hair loss. I have curly yet very thin hair. That system sounds promising to me and I think it would be a great solution for my hair. Your hair looks so beautiful ! I need to try this to help get my hair thicker! I have very think hair. This is so important to keeping it healthy!